Jamice Humphrey | SAI Financial Services, Inc.
Jamice recently joined the SAI Financial team as a Client Service Associate. She brings many years of experience in the Finance and Client Services industry, along with a strong background in Client Case Management. She has completed her B.S. in Business Administration at Kaplan University and is currently pursuing her MBA at Purdue University Global. 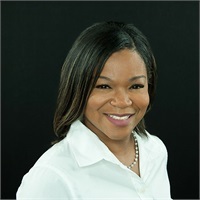 Jamice strives to provide excellent service through thorough Financial Reporting and by building strong and successful client relationships. She is a “people person” and is very passionate about going above and beyond to help others.